Just the right amount of our expertly balanced blend of 11 spices, packed in a handy pot, to create Indian dishes bursting with flavour. For allergens, see ingredients in BOLD. May also contain Peanuts and Nuts. THIS PRODUCT MUST BE COOKED. Take one Patak’s Korma Paste Pot, add some lamb, ginger, garlic, onion and a little green chilli, and the two of you will have yourselves a delicate, creamy tasting Korma straight out of Lucknow, the capital of Uttar Pradesh in Northern India. Kerala is a state located in the south-west of India. It has a distinctive and varied cuisine with coconut and black pepper being key ingredients. These scrumptious kebabs have both these flavours as well as our lovely, delicately balanced Korma Paste Pot. Succulent and delicious, these kebabs work perfectly on the BBQ or under your grill. Serve with our spiced potato salad, or simply on a bed of lettuce. Perfect for a BBQ or the grill, these chicken kebabs are quick, easy and very tasty. 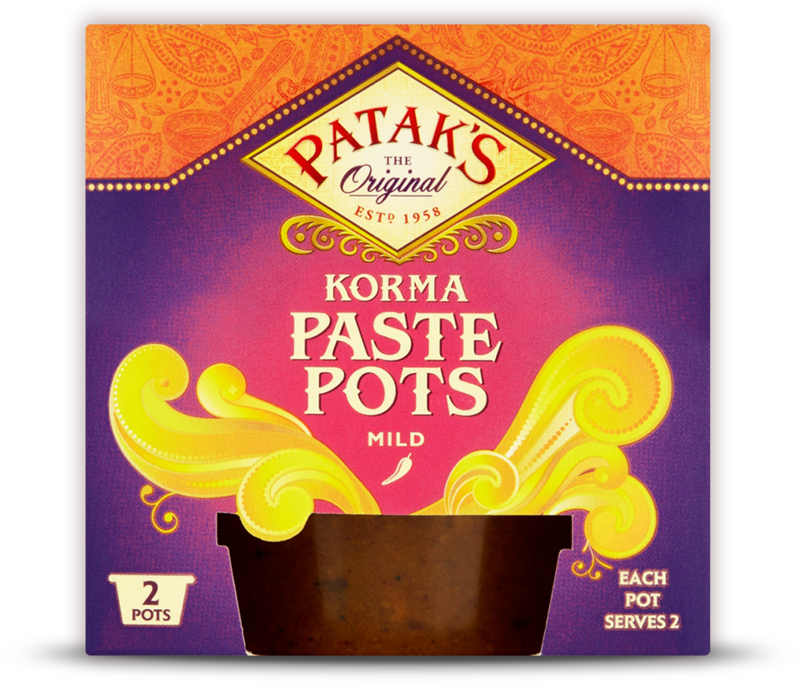 Our Korma Paste Pot give is sweet and mildly spicy so it's suitable for all the family!